Photograph of the second Amber Room, now on displayed in the Catherine Palace, St. Petersburg, Russia. What many people do not know about the Amber Room, is that there were actually two Amber Rooms constructed nearly 300 years apart. The first amber room was constructed in Prussia between 1701 and 1711. The Amber Room was not originally made for Czar Peter the Great; it was made for Sophie Charlotte, second wife of Frederich I, first King of Prussia. Designed by Andreas Schlüter and constructed by three men; Gottfried Wolfram a master craftsman to King Frederick IV of Denmark, and amber master craftsmen Ernst Schacht and Gottfried Turau. The room was ordered for the Charlottenburg Palace, home of the Prussian royal family, though eventually it was installed in the Berlin City Palace. It was in the Berlin City Palace that Peter the Great saw the Amber Room, while on a state visit to the Prussian monarch. The Czar so admired the Amber Room that King Friedrich Wilhelm I (the son of Frederich I) gave the room to Czar Peter the Great. This gift consummated the Prussian-Russian alliance against Sweden. The room was installed at the Czar’s palace in St. Petersburg (this palace would later come to be known as the Catherine Palace, after Catherine the Great). However, that was not the end of the Amber Room. Peter the Great would spend the next four decades expanding the room. When it was finally finished in 1755, the room contained more than six tons of amber, gold leaf and mirrors. The room covered more than 175 square feet (55 square meters). In 1830 the Amber Room was restored. 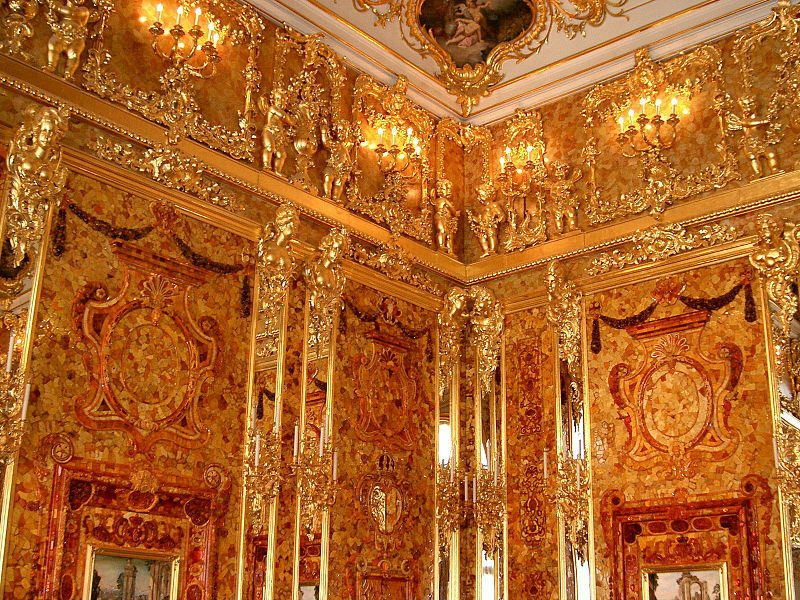 Wars and revolutions came and went, yet the Amber Room remained in its place in the Catherine Palace. Then in 1941, Germany launched Operation Barbarossa, the invasion of Russia. The curators of the Amber Room tried to disassemble the room to protect it from the invading Nazi’s. Over the years the amber had dried, becoming very brittle and fragile, making moving the room very difficult for the curators. They decided to hide the room behind wallpaper when the amber started to crumble during the attempt to move the room for safe keeping. The ruse did not work and German soldiers, under the supervision of two German experts, disassembled the room. Packed in 27 crates, the room was sent to Königsberg in East Prussia. It was in Königsberg Castle the Amber Room would be displayed, stored, and eventually disappear. 3) The Amber Room was destroyed when the city was taken by Soviet forces. Designed to carry 1,465 passengers, the Wilhelm Gustloff left Gotenhafen (also known as Gdynia) for Kiel with over 10,000 refugees onboard. Early on January 30, 1945, the ship left port for the last time with over 150 wounded soldiers, about 1,000 various combat personnel, thousands of adult civilians, and approximately 5,000 children. Because of the wounded soldiers, the Wilhelm Gustloff could have returned to its earlier hospital ship colors, but the decision was made to stick with the navy gray paint scheme because of the naval officers, men (Submarine Training Division Two had been using the ship as a barracks ship), and naval auxiliaries onboard. The hospital colors, white hull with a green stripe and green crosses, would have protected the ship from attack under international law. When the Wilhelm Gustloff left port it had four captains onboard, two merchant marine captains, Lieutenant Commander Wilhelm Zahn, and the Wilhelm Gustloff’s own captain Friedrich Petersen. Zahn, the only naval ship’s captain onboard, recommended a course close to shore with the ship’s lights out, to guard against attack from submarines. Captain Petersen chose instead a deep water passage through an area that was cleared of mines. Later, the Wilhelm Gustloff received a message from an unknown source that a German minesweeper convoy was headed in their direction. This messaged proved to be false after the sinking, but it did cause Captain Petersen to turn on the ship’s navigation lights. So, we find the Wilhelm Gustloff running from the advancing Soviet army and naval units, over loaded with refugees (largely children), steaming at night, in deep water, with its navigational lights on; lit up like a Christmas tree in a dark room. This was the exact situation Captain Zahn feared, perfect conditions for a submarine attack, and that is exactly what happened. The ship could stay afloat with any two compartments flooded. However, Soviet sub S-13 put three torpedoes into her. The first torpedo struck the bow, the second struck the ship amidships, and the third and fatal torpedo struck the auxiliary machinery space, taking out the ship’s electrical power. The ship sank in fifty minutes taking over 9,000 people with it, over half of those children; and, according to many, taking the Amber Room with it as well. In 2003, for a Discovery Channel episode of Unsolved History, an expedition was given permission to dive on the protected war grave of the Wilhelm Gustloff. The divers were surprised to find the ship almost totally destroyed, much more damage than they expected from three torpedoes. During the program it was revealed that the Soviet Union had been to the wreck secretly, and had destroyed the ship. If the Amber Room was on the Wilhelm Gustloff, it is obvious it is not there now. Amber Room Oh Amber Room, Where Are You Hiding? After the war the Amber Room was never seen again. Both the Soviet and East German governments launched extensive searches for the Amber Room, but never found the room. An Italian stone mosaic, one of four adorning the Amber Room, was found in 1997 and used in the construction of the second Amber Room. It was found with the family of a German soldier who had helped pack the Amber Room into crates. Many times it has been announced the room was found and would be recovered soon, but each time the search teams failed. 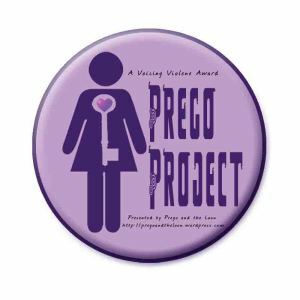 … never to be seen again. The last and most likely theory, the Amber Room was destroyed by an artillery barrage from the advancing Soviet army when it took Königsberg, or the fire that swept the castle during the Battle of Königsberg. The Soviets always denied this, just as they always denied the room was in bad shape and in desperate need of restoration when it was looted. However, a careful examination of the evidence makes this theory the most probable. On January 21 and 24, 1945, Hitler ordered looted possessions in Königsberg to be moved before the advancing Soviet army could arrive. However, before the official (Erich Koch) tasked with the execution of this order could carry it out he fled the city to escape the advancing Soviets, leaving the Amber Room behind. Königsberg fell to the Soviets on April 9, 1945, and remained in Soviet control after the war, eventually being renamed Kaliningrad. Between April 9 and April 11, 1945, a fire ravaged the area, burning Königsberg castle to the ground. So, if the Amber Room was not removed by the retreating Nazi soldiers, it was in the castle when the fired raged. The first official investigation into the whereabouts of the room was conducted by Alexander Brusov, head of a Soviet mission, sent to find the Amber Room. Brusov’s report, dated June 1945, concluded that the Amber Room was destroyed during the Battle of Königsberg, sometime between April 7 and April 11, 1945. Years later, Brusov retracted his earlier statements about the loss of the room during the Battle of Königsberg. Brusov may have been pressured to retract his earlier statement, so as to avoid the appearance that the room was destroyed by Soviet forces. Though a short lived empire, the Soviet Union was notorious for denying anything the leadership felt would not reflect well on the Soviet Union. Certainly, being responsible for the destruction of their own nation’s priceless treasure (intentionally or by accident) would fall into this category. In 1968, Soviet Premier Leonid Brezhnev ordered the demolition of Königsberg castle; and later an apartment building was built on top of the site, making future investigations of the site impossible. In 1979, using original drawings and old black and white photographs, The Soviet Union began a new Amber Room. The reconstruction would take the best craftsmen in Russia 24 years to complete. A German gas company donated $3.5 million (USD) towards the project. At the 300th anniversary of St. Petersburg, Russian President Vladimir Putin and German Chancellor Gerhard Schröder dedicated the finished masterpiece. What I feel is probably the best investigation into the loss of the Amber Room was conducted by Adrian Levy and Catherine Scott-Clark for their book, “The Amber Room: The Fate of the World’s Greatest Lost Treasure.” They were able to search diaries, reports, and personal letters never before uncovered, including some reports which were classified. So, what do YOU think happened to the Amber Room?